With a peppy and reliable engine and gorgeous looks, Honda Brio is a decent hatchback from Honda Motors that comes with a fuel tank capacity of 35 litres. It matches most of its rivals in this respect. The newly launched car from Tata’s stable, Bolt, surpasses Honda Brio when it comes to fuel holding capacity as it comes with a much larger fuel tank that can hold 44 litres of fuel at a time. Another new entrant into the Indian car market, Toyota Etios Liva also hosts a much larger fuel tank capacity of 45 litres that is 10 litres higher than that offered by Honda Brio. The entry level cars from Maruti Suzuki like Maruti Suzki Alto 800 and Maruti Suzuki Alto K10 also are rivals of Honda Brio. Both of these cars carry a fuel tank capacity of 35 litres that is same as that offered by Honda Brio. Hyundai i10 also matches this figure of 35 litres. 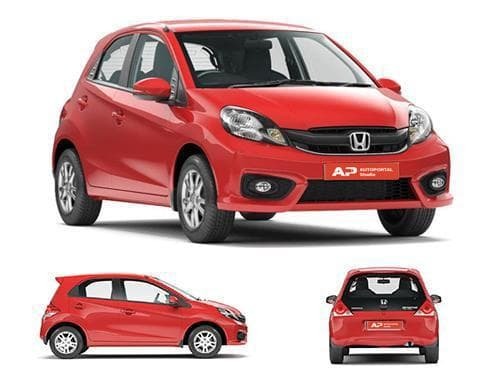 Compare fuel tank capacity of Honda Brio with its immediate competitors. Fuel tank capacity of Honda Brio competes directly with Maruti Suzuki Swift, Hyundai i10, Hyundai Elite i20, and Nissan Micra. Together put, any fuel tank capacity above 45 Litres is more than decent, however, if the fuel tank capacity if less than 40, you need to hold and think. In case you often drive long distances, a 40 litres and beyond fuel tank capacity will be good for you. On the other hand, if commuting between home to office is what you intend to do with your car, you may consider even 30 Litres to be sufficient as well.